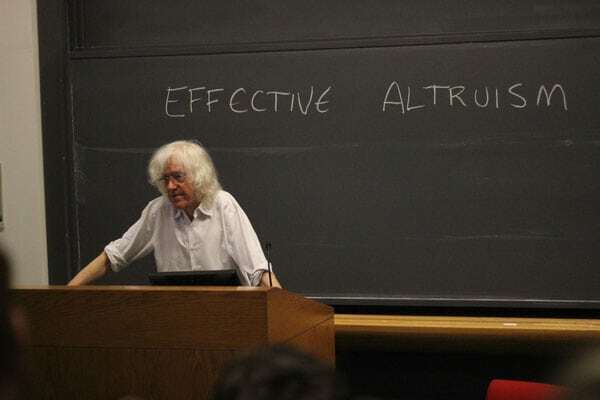 Effective Altruism: A New Movement, or Another Failed Philanthropic Proposition Repurposed? Some ideas always seem to keep coming back, like the proverbial bad penny. Ideas in philanthropy and charity are no exception. For instance, in the world of philanthropy, we have for many years been subjected to experts who would like to tell others how to be more effective with their donations. Not how nonprofits can be effective with the money they receive, mind you, but how the philanthropist or donor can be more effective with their charity. In recent years, arguments have raged about strategic philanthropy and about how to be more cerebral (read, “disconnected at the heart level”) about giving. In 2013, NPQ ran a piece by William Schambra that challenged the effectiveness of this movement, but we continue to find people extolling the virtues of that method of charitable giving. The dialogue continues; as NPQ’s own Ruth McCambridge points out, it is a dialectic. Recently, in the Economist, an article explores the potential of “effective altruism,” asking if it can “maximise the bang for each charitable buck.” The term “effective altruism” may sound like a new idea being surfaced but, in essence, it is not despite the article’s contention that it is a “nascent movement.” If it is nascent, it has been so for decades, and maybe we don’t need to throw it another shower. Familiar references are made to such watchdog rating organizations as GivingWell, but the article also mentions some new ideas. For example, one Oxford professor William MacAskill, who is founder of the Centre for Effective Altruism, has determined that promoting ineffective charities might do more harm than good, since every dollar raised by one charity means 50 cents less for other charities. Another Oxford Professor, Toby Ord, is quoted as arguing that people from wealthy countries who want to maximize their impact could do so by giving to other countries. Impact in education, for example, is more cost-effective giving to changing the diets of children in poor countries than giving to a school in the United States. Increasing the iodine in children’s diets in a starving country can increase the average IQ by four points. The point is that donors who use the effective altruism model want to use metrics of success to guide their giving. It is giving from the head, not the heart. Effective altruists are apparently aware that their movement may have limited appeal. It seems most readily adopted by the young, wealthy, scientifically minded people of Silicon Valley than by anyone else. To be frank, this sounds a lot like a movement labelled “Moneyball philanthropy” that was covered by this writer in an NPQ newswire four years ago. The idea of Moneyball philanthropy is that the world of charitable donations should be given the same rigor of analysis with decisions based on metrics as baseball. Of course, as was pointed out then, and should be pointed out again in reference to effective altruism, the world is not that simple. Scientists and baseball analytics operate in a world that is defined, has rules, and can have predictable results. Life isn’t always like that, as an article on the Forbes website eloquently pointed out. There is every indication that the act of giving is partly motivated by very human impulses. The joy of giving (relative to keeping money for oneself) can be manipulated by benign thoughts. People are more generous after they have spent some time thinking about their own death, about an act of forgiveness, or about things in life for which they are grateful. If we pay attention to what we know about what motivates donors to behave the way that they do, two things will stand out: that giving makes donors feel good, and that complications in the giving process may deter giving. Thus, instilling doubt in donors about whether or not they are giving in the proper way, and asking them to take an extra step in reviewing nonprofit metrics of effectiveness and planning, may take giving into the realm of the less fulfilling of human activities. In other words, social marketing that urges members of a community to be more cerebral about their giving may very well be a disincentive to giving altogether. Right now, through their giving, ordinary individual donors without staffs generally achieve a better self-image, greater sense of well-being, and a sense of having contributed to the whole through giving—and this encourages them to give again. Social Capital Markets 2016 is the latest in a series of annual conferences hosted by Mission Hub and designed to “increase the flow of capital toward social good.” This year’s conference moved from a discussion of the nature of social investing to one on why social investing is the proper use of capital.